Why quitting is dangerous and to end the nicotine habit while mitigating damage from systemic fungal infections. Smoking is considered an early ticket to death by the World Health Organization, the Food and Drug Administration, the Centers for Disease Control and Prevention, and every other medical institution on the face of the planet. For those who light up, the risk of cancer, lung disease, heart disease, and other medical conditions is greatly increased. Since the once-lucrative cigarette market has waned in light of recent health campaigns, a counter-culture of idealistic methods to quit has sprung up in its place. While we here at Physicians’ Standard applaud those who can kick the cigarette habit, we recognize that smokers face a unique and potentially deadly challenge that is rarely talked about. There are many symptoms associated with the cessation of smoking. 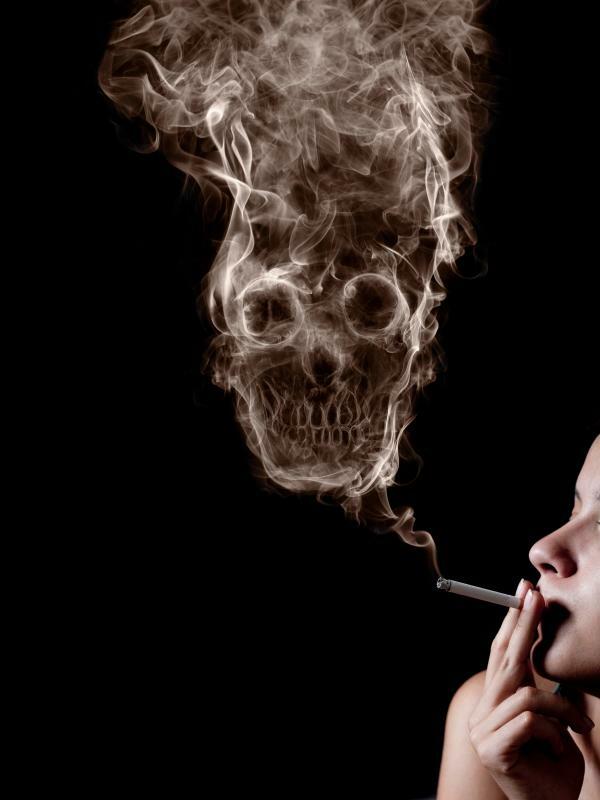 Soon-to-be ex-smokers are typically prepared for moodiness, headaches, and bouts of anxiety. What they are not prepared for are cancers, heart attacks, and strokes. If quitting smoking is supposed to be the best thing a smoker can do for their health, why does cutting the nicotine cord often create even more medical complications? The answer is nicotine and its interaction with a systemic fungal infection. While a cigarette is a toxic cocktail of chemicals, none is so powerful as nicotine. None of the chemicals in a cigarette are good for you, but they are primarily designed to act as a delivery service for the star of the show, nicotine, which is absorbed within seconds and heads straight for your brain. There, the nicotine mimics acetylcholine, the most prevalent neurotransmitter in the brain. Acetylcholine assists in basic muscle functions, hand-eye coordination, and complex neurological reactions such as the release of another neurotransmitter, dopamine, which in turn stimulates the body to feel pleasure. Acetylcholine is a substance manufactured in the brain and its release is strictly regulated. Nicotine is not regulated by the brain, meaning the amount that you consume is the amount that stimulates the acetylcholine receptors. When acetylcholine receptors are activated, they release dopamine, which then creates the calming dopamine response most smokers experience when they have a cigarette. Another neurotransmitter that is activated by nicotine is glutamate. Involved in both long-term and short-term memory retention, the stimulation of glutamate while dopamine is being released creates a deeply entrenched memory of pleasure related to the consumption of nicotine. This chemical reaction, repeated multiple times daily, is what creates such an intense addiction. While the nicotine is fooling your brain into thinking it is acetylcholine, it is also doing something else. Nicotine minimizes the growth of parasites and fungi, but does not prevent them from spreading their infectious offspring all over the body. When a smoker stops consuming nicotine, suddenly all of these disease-causing elements that have been scattered throughout the body begin to proliferate, creating an infestation in a very short amount of time. So, does this mean you should continue to smoke? Absolutely not. Cigarettes and nicotine are toxic. What this means is that you need to rebuild your immune system and support your body while you quit smoking to minimize fungal growth. Not only will this improve your overall health, but it will help to curb your cravings and lessen the withdrawal process. In fact, many symptoms that are commonly associated with ending the habit are actually signs that there is a serious systemic fungal infection that is apearing for the first time. While it is true that there are significant symptoms from nicotine withdrawal, often carbohydrate cravings, weight gain, and low blood sugar originate from the infection growing. Nicotine suppresses both your appetite and the fungus, so the amount that you eat decreases significantly, leading to smokers’ average weight dropping 10 pounds from the rest of us. Once smokers quit, their appetite returns to normal and the fungus jumps into action, gobbling up all of the sugars and carbohydrates in their blood stream. This causes carbohydrate cravings and low blood sugar, which causes people to eat more, leading to weight gain.